Power plays a fundamental role in netball. You need power in your lower body when jumping to block shots or sprinting to reach a loose ball, and you need power in your upper body for making passes and shooting goals. 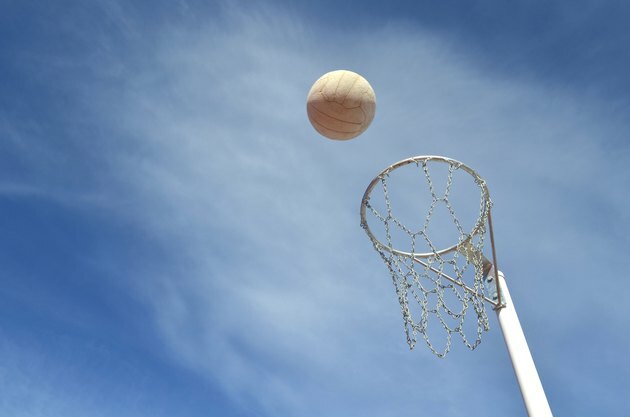 Including power training in your conditioning program for netball can not only make you a better player, but it can also strengthen your muscles and joints, reducing your risk of injury. Power training is essentially any movement that requires an explosive effort, combining maximal strength and speed. You need to be powerful to perform at your best on the court, and power is especially useful when jumping, sprinting or changing direction to avoid a collision or intercept a pass, reminds the team at UK-based Teddington Swans Netball Club. Any type of jumps, hops and throws can be classified as power exercises. As throwing is such a crucial component of any netball player's game, getting a more powerful pass and shot can drastically increase your worth to the team. Perhaps the best option for this and the most applicable to netball, is to include medicine-ball throws in your training. Throwing medicine balls is an effective low-impact way to train for power, which also integrates your core muscles and improves thoracic spine, hip and ankle mobility, notes strength coach Eric Cressey. Make medicine-ball chest passes, lateral passes, overhead slams and overhead tosses part of your routine on a regular basis. All types of jumps are plyometric exercises, but the most functional for netball players is the vertical jump, according to Top End Sports. To train your vertical jump, beginners should start with two-footed jumps onto a low box. As you progress, you can increase the height of the box before transitioning to depth jumps, where you step off a bench, then jump up. More advanced vertical-jump exercises include jumping off one leg and landing on two and vice versa, single-leg hops and weighted jumps wearing a weighted vest or holding light dumbbells. Getting more powerful is certainly beneficial, but power training shouldn't take away from the rest of your regimen. Netball players need traditional strength training too, notes Jeremy Hickmans, performance director at the Newcastle Knights NRL club. Squats, deadlifts, step-ups and split squats should be regularly performed in your lower-body sessions and bench presses, chin-ups, shoulder presses and rows in your upper-body sessions. Complete two weight-training sessions each week -- one lower and one upper workout. Start each with a power move for six sets of two to five reps, then move on to your strength exercises, each for three sets of six to 10. Stick with the same power exercise for three weeks, then change to a different one for the next three and keep rotating the cycle. Sporting Pulse: Fitness for Netball "All Your Around"